Efficiency is critical in the commercial laundry business. Getting it clean the first time, without the need for recleans, requires a precise combination of premium products, water quality, cycle time, mechanical action, and temperature to meet the unique challenges of your operation. 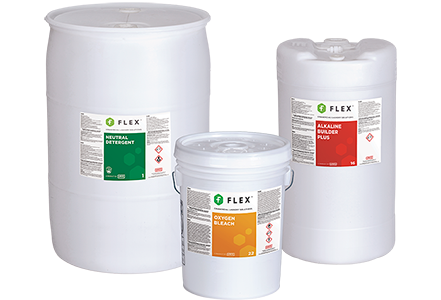 FLEX Commercial Laundry Solutions provides innovative products with optimum cleaning power, supported by fully trained technical service personnel. You can count on consistency, peak results, and reduced operational costs. Since the installation of our FLEX Laundry System the results are nothing short of spectacular. We have seen tremendous improvement in the overall cleaning of garments while adding a pleasant scent. Having cycles tailored to our needs is especially useful in the textile restoration industry. I would highly recommend the FLEX Laundry System. We had no idea how much we could improve the quality of our products and our efficiency in our cleaning process until we switched to the Flex Laundry system. We were throwing away linens that we thought were unrecoverable due to stains and mildew. Thanks to the products and services we are now using with Flex we are able to save all newly stained linens as well as recover the old linens we had written off as a loss. Our linens now are being cleaned after one wash with no pretreating or scrubbing. The colors are brighter and there is no fading with the pre-treatment and overuse of chemicals that we had before. We could not be happier with the professional service and knowledgeable staff working with us to solve our problems and save us time and money which in turn saves our clients money by allowing us to lower our cleaning costs. We would recommend them to anyone looking to increase productivity and efficiency while decreasing business costs and labor. We were given a huge project to launder the towels, washcloths and blankets from the dorms of the largest university in the state of Tennessee. It was summertime and the items were filthy. Many were stained with mold and mildew as well as suntan solutions. Unfortunately, the first time we cleaned these items we did not have Flex products. A majority of the items needed to be recleaned and it was unlikely the stains could be removed. Rick, our Flex Representative, installed the Flex products and put together a reclaim program in order to save the items. 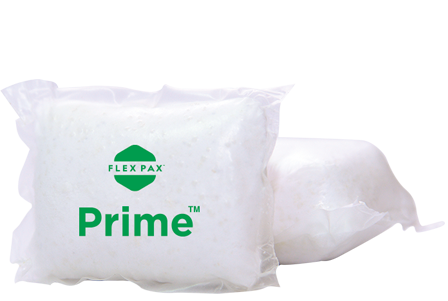 The Flex products were a major advancement over the previous products we were using. We were able to recover 90% of the linens that we thought were unsalvageable! This saved the University a lot of money. Now, I can confidently go after this type of business in the future. I just wish we would have used Flex products the first time to avoid the time and labor cost of reruns. Food stains can be the toughest stains. But, with the right chemistry, water temperature, cycle time, and mechanical action, most of these stains can be removed in the wheel without the need for recleans. 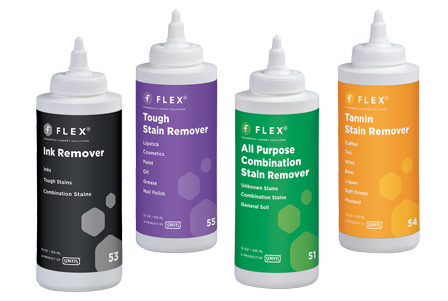 Flex products are designed for powerful stain removal. Your Flex technical service representative will ensure your process operates effectively for maximum cleaning in the wheel. Overuse of chemical products is prevented because the system is doing the work for you. 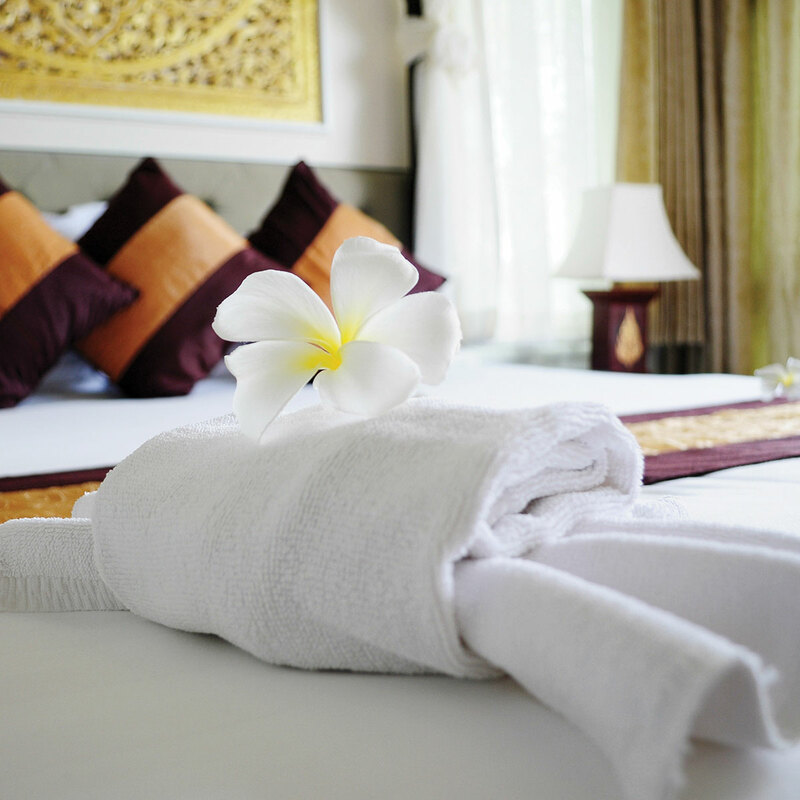 Hotel and resort customers expect immaculate linens that feel good to the touch. The proper combination of powerful chemistry with effective softeners and conditioners will achieve an outcome that keeps customers coming back. 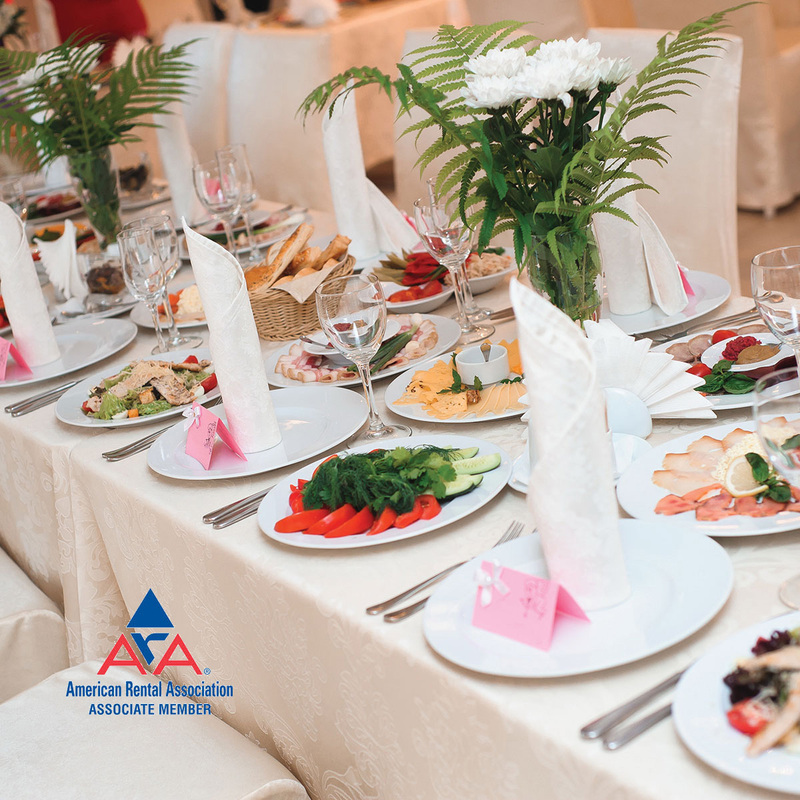 Your Flex technical service reps will optimize a process that ensures clean, soft linens while preserving their longevity. Flex products used within a properly operated system, under the expert watch of your flex technical service rep, will also ensure minimal recleans and lower energy requirements for reduced operating expenses. Just because it looks clean, doesn’t mean all germs and bacteria have been eliminated. 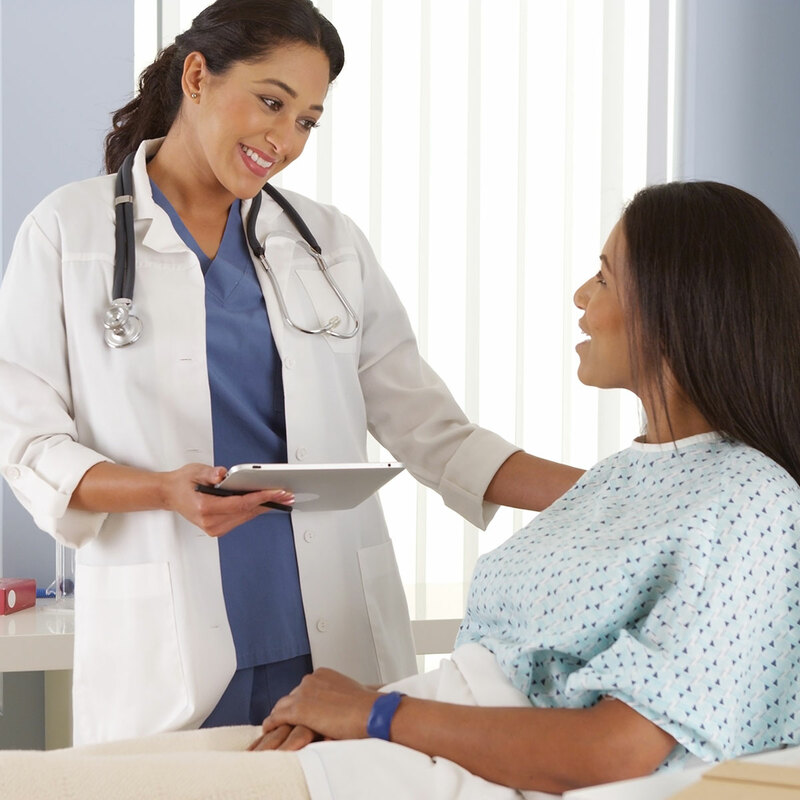 When it comes to healthcare laundry, it’s critical that a process is in place to effectively remove bacteria and germs that can cause contamination. It takes properly formulated chemistry combined with the right process choices to ensure the best conditions for healthcare laundry. 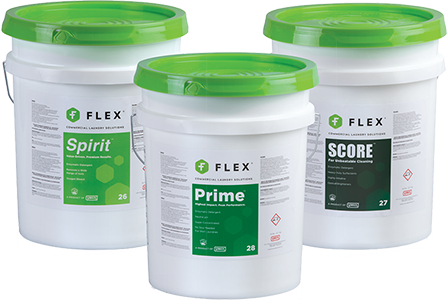 Flex offers a range of premium products to achieve the results your unique operation requires. Your Flex technical service rep will evaluate your goals, your challenges, and your objectives in order to combine chemistry and process for the highest outcome. When it comes to cleaning textiles used in an industrial environment, you’ve got to be tough. Flex Commercial Laundry Solutions offers advanced and flexible chemistry to achieve powerful stain removal that penetrates and carries away even the toughest soils. Oils and greases require unique combinations of surfactants, water temperature, mechanical action and cycle times. Your Flex technical service rep will develop a program designed to attack the types of soils you’re experiencing, without undo harm to fibers. Shirt laundries must be run with spotless efficiency in order to be a profitable venture for the business owner. However, shirts seem to present some of the biggest challenges in the operation. Stains are often difficult remove, and the fabrics are usually white or light-colored which present their own difficulties. There’s no time for re-runs! Flex offers a unique combination of products customized to your operation’s unique challenges. 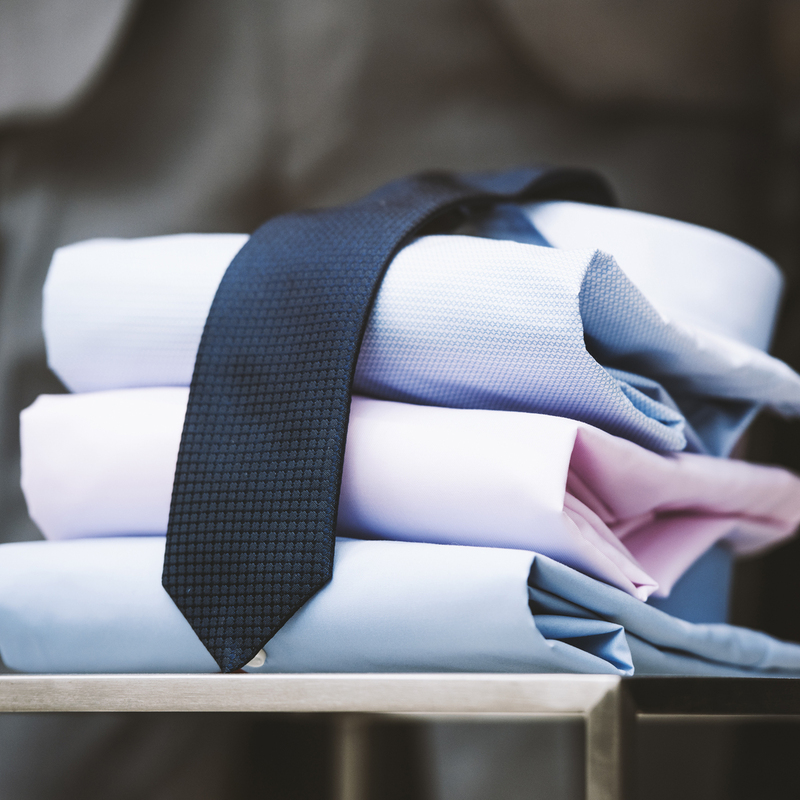 We’ve helped shirt laundry operators experience a 50% reduction in re-runs. Although you will experience powerful cleaning, our laundry specialists also ensure protection of fabrics, which means protection of your business. 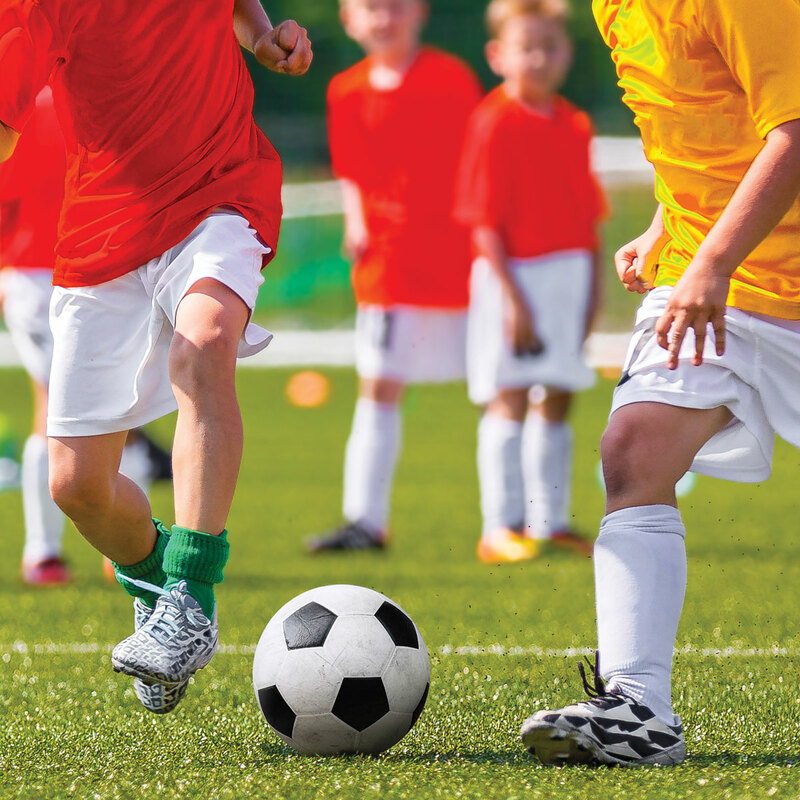 The cleaning of athletic wear is growing exponentially. Yet cleaning operations are experiencing great difficulty with the unique fabrics, stains and odors experienced in this type of fabric care. Experience the “The Flex Factor” and let our unique formulations do the work for you. Fitness will never look so good!